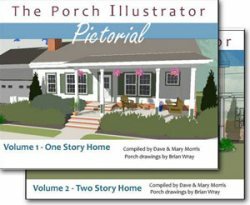 Out front porch railing guide gives you options for choosing just the right material for your front porch or deck. 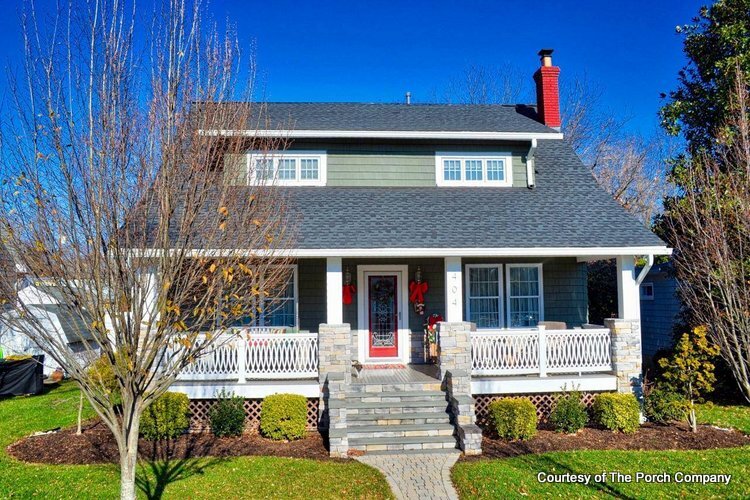 You can choose from a variety of front porch railing styles and materials ranging from wood to vinyl and at a cost to suit almost any budget. It is important to not only select the best railing style for your home but also to ensure it meets your needs for maintenance and durability. Knowing your options will give you the information you need to make the best selections. Our information below is sure to help! Most common, easy to build, and affordable. 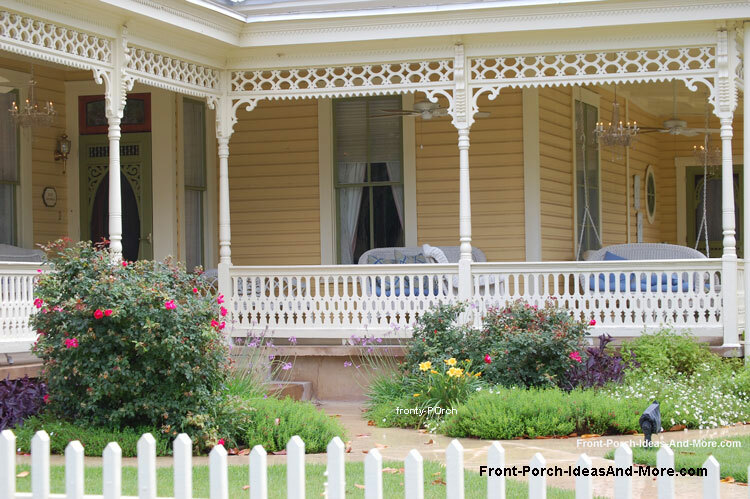 Consider that the best way to build a porch is to use different grades/types of wood for different areas. Spend extra for top quality lumber for those parts where it will be seen. 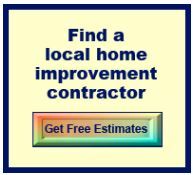 Use pressure-treated wood for posts, joists, and beams. Treated lumber: Treated lumber can survive many years longer than untreated wood. The best is pressure treated lumber injected with a water repellent; it will cost more but is less likely to degrade for many years. Softwoods: Redwood and cedar are great for outdoor use although availability may be limited in some areas. Western cedar and Alaskan cedar are popular on the West coast. If using these woods, ensure you use the Heartwood of the tree; it's insect and decay resistance. Hardwoods: Front porch railing made from Ipe', cambara, teak, and meranti are durable, rot-resistant, and beautiful woods. Availability may be an issue. Composites: These woods are made from wood products mixed with resins (plastics). Most look like real wood, come in all lengths, will not splinter, crack, or rot. These are not suitable for structural members but can be used for flooring and railings. Looking for wood railing design ideas? 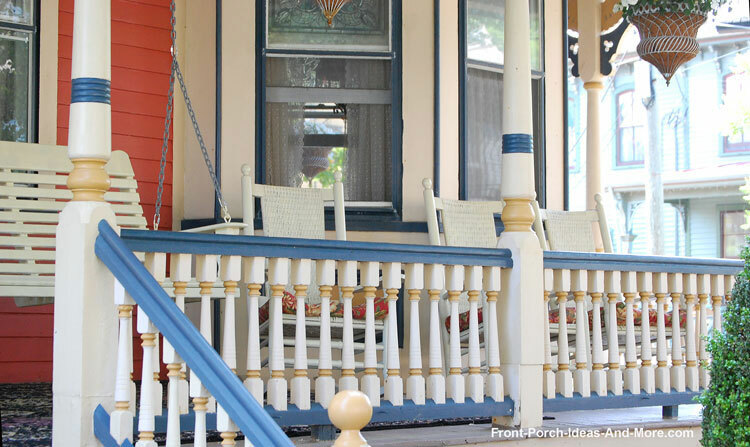 See our wooden deck railings for porches - you'll be surprised at all of your options! 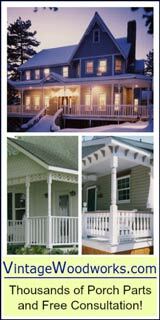 PVC or vinyl railing systems are excellent front porch railing material and are available in a variety of styles (colonial, contemporary, classic, etc.) and colors. 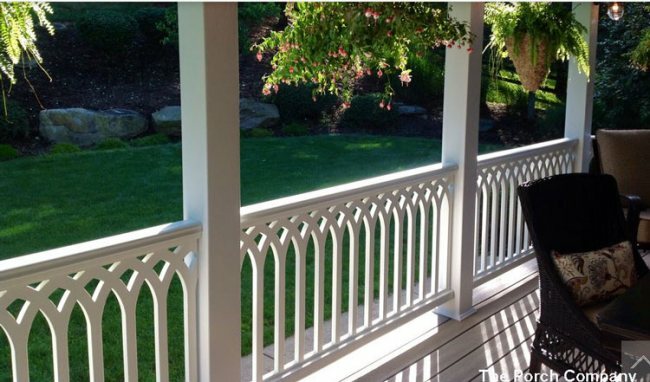 Vinyl railings come as a system and usually have their own components to include 4x4 posts, 2x2 balusters, etc. The cathedral scroll railings are from The Porch Company (one of our fine sponsors). 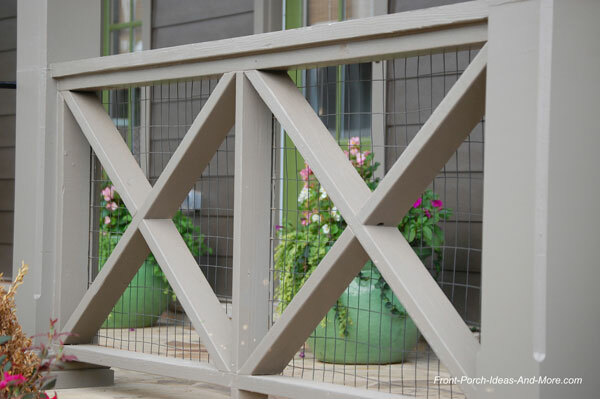 We love that these railings are virtually maintenance free. 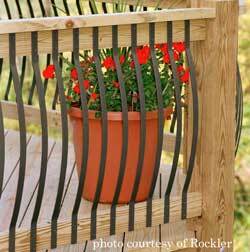 Vinyl products for railings, although more expensive, are becoming very popular according to BackYard America. 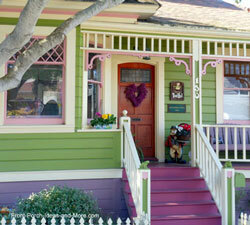 See our Vinyl Porch Panel Photo Gallery for great ideas. 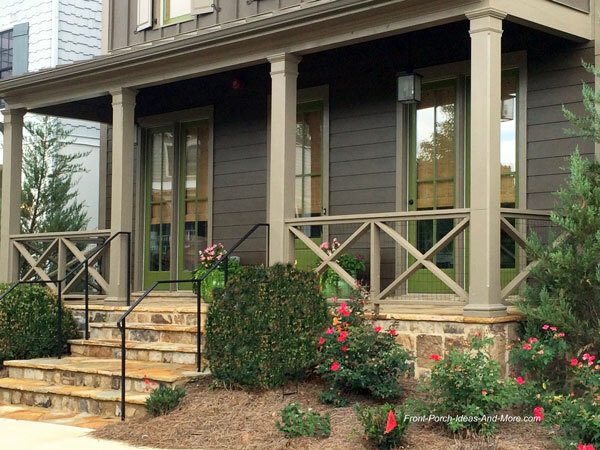 Classic extruded aluminum balusters will add a distinctive wrought iron look to your porch at a fraction of the expense. Classic balusters come in 26" length (for a 36" railing) and 32" length (for a 42" railing) and are 3/4" in diameter. They are relatively easy to install and can be used on wood or composites. We actually installed well over 100 of them on our deck and didn't have any issues except one. It helps to have more than one person assemble the balustrade; otherwise, it becomes a contest between you and the balusters! 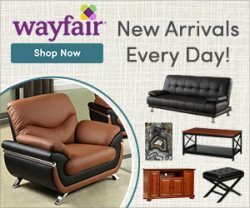 They come in several different colors and styles ranging from colonial to more contemporary. 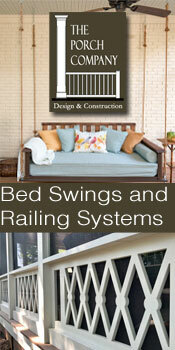 Hope you enjoy our video about front porch railings. Glass panels are great! 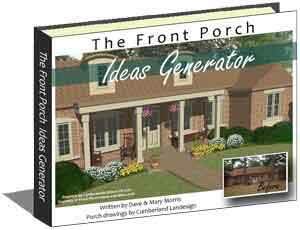 We don't have them but I've seen many and they look super especially if you have any kind of view from your porch. In place of balusters, tempered glass panels are used. 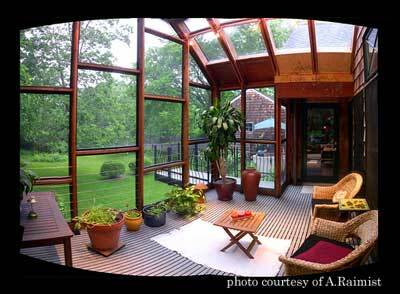 See how our friend, Larry, uses tempered glass panels on his porch. 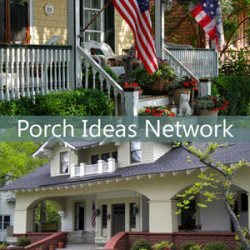 Besides allowing you to see without obstructions, they also shelter you from the wind which really makes your porch more usable. 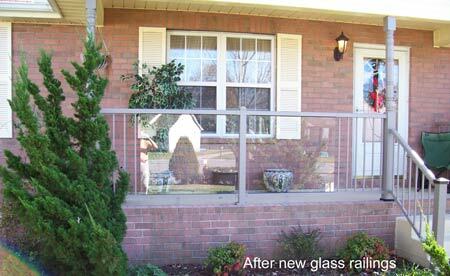 Glass railings basically consist of a metal top rail and tempered glass panels. A glass railing system is a great alternative to traditional balustrades that have many intermediate rails, balusters, or even wire mesh panels. Glass panel systems are usually custom fabricated to ensure maximum functionality. Glass panels also have illumination features (DEKOR®) to give your porch a very distinctive appearance adding potential value and style. 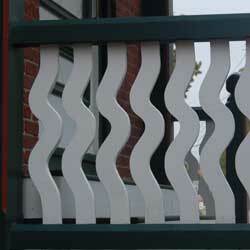 We found a great contemporary railing system that allows you fantastic flexibility. Made by DesignRail®, their system allows you to select either aluminum balusters, glass panels, or cables. 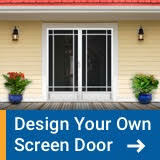 Their systems install easily, look great, are not cost prohibitive and come in a wide range of finishes. Intricate and always beautiful...see these!